This is the intriguing story of a kayak journey down an historic Michigan river, blending a modern-day adventure with the history of the original native inhabitants, and the brave pioneers who followed the old but famous Indian trail from the young city of Detroit westward into an essential wilderness. It is a detailed yet narrative account of their trials and hardships in establishing homes, farms, and villages along the way. Much has changed, but much has not. How does such a relatively wild and little-known river as the Looking Glass still exist within just a few miles of the state capital at Lansing, Michigan? Today each of us can still enjoy the adventure and discovery that goes with floating upon its surface, as I did. 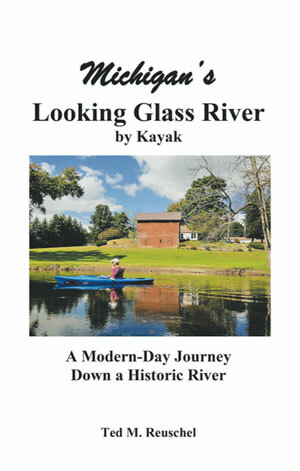 This is the account of the Looking Glass River, both past and present.